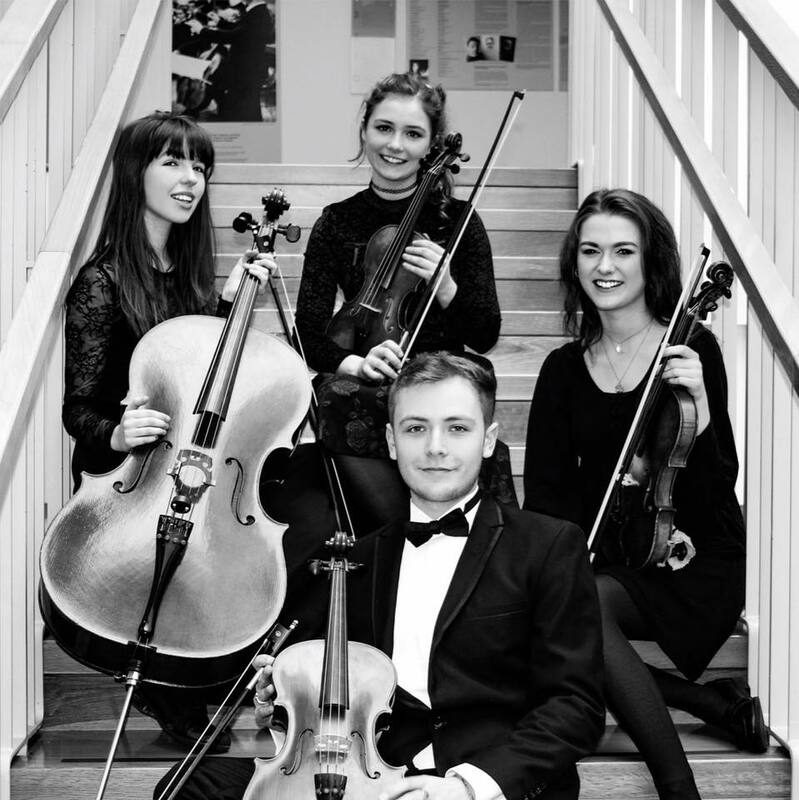 Cork has a new string quartet featuring some very young, but very experienced and talented Musicians. Discorde Quartet will play their debut performance in Cork City Library, Grand Parade as part of the Seachtain na Gaeilge programme. 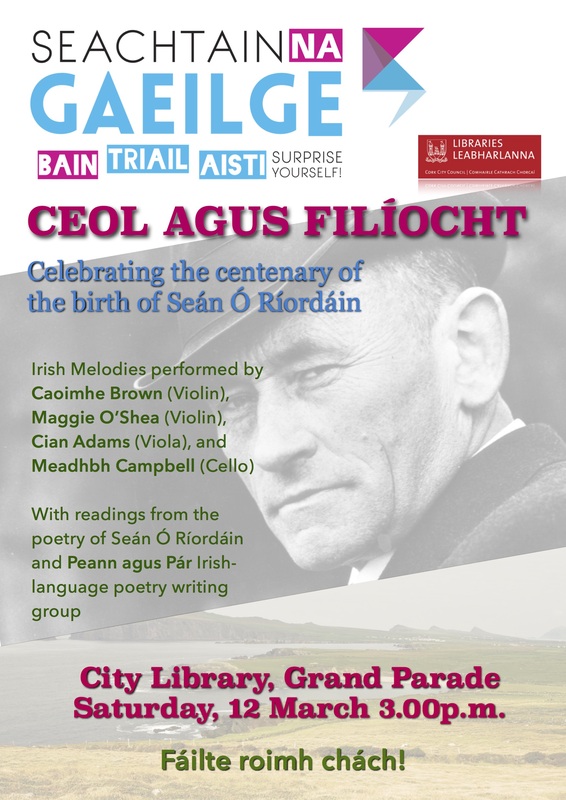 Discorde Quartet will play a selection of Irish Melodies while Irish Language poetry writing group, Peann agus Pár, will read from their own poetry and from the works of Seán Ó Riordáin. The first violinist, Maggie O’Shea, studied the Suzuki method and has been playing music since the age of 3. Maggie was a member of the Cork School of Music Orchestra, Cork Youth Orchestra and the National Youth Orchestra of Ireland. The second violinist, Caoimhe Browne, began violin at the age of 7 when she was inspired by watching a performance of Riverdance on the Late Late Show. She currently studies under the guidance of Gregory Ellis. She is looking forward to what this newly formed quartet will achieve in the future. Cian Adams, who plays the viola, has been playing music since the age of 6. He studied under maestro Constantin Zanidache. He performed in the National Youth Orchestra of Ireland. He has been a member of many quartets including the Prima Vera Quartet. Meadhbh Campbell started cello at the age of six, and is currently studying with Chris Marwood. She has enjoyed playing in a variety of chamber music groups from the age of ten and is a former member of the National Youth Orchestra of Ireland.